What's next for George Zimmerman? George Zimmerman, seen here being congratulated by his defense team after being found not guilty in the shooting death of Trayvon Martin, still faces federal scrutiny and a possible civil suit. Acquitted of second-degree murder by a Florida jury, George Zimmerman still faces federal scrutiny and a possible civil suit that could compel him to do something he avoided at his trial: testify. The not-guilty verdict Saturday night spells the end of the riveting state criminal case against Zimmerman, who claimed self-defense in the death of Trayvon Martin, but his legal odyssey may be far from over. "We clearly must move on to the next step in terms of the federal government and the civil courts," the Rev. Al Sharpton said on MSNBC after the verdict. The Justice Department began looking into the case less than a month after the Feb. 26, 2012, shooting, and the NAACP launched a MoveOn.org petition Sunday calling for civil rights charges. In April 2012, Attorney General Eric Holder said there would be a "high bar" to make it a federal case. "For a federal hate crime we have to prove the highest standard in the law. You know, something that was reckless, that was negligent does not meet that standard. We have to show that there was specific intent to do the crime with the requisite state of mind," Holder said then. "As the Department first acknowledged last year, we have an open investigation into the death of Trayvon Martin," the statement read. "The Department of Justice's Criminal Section of the Civil Rights Division, the United States Attorney's Office for the Middle District of Florida, and the Federal Bureau of Investigation continue to evaluate the evidence generated during the federal investigation, as well as the evidence and testimony from the state trial. "Experienced federal prosecutors will determine whether the evidence reveals a prosecutable violation of any of the limited federal criminal civil rights statutes within our jurisdiction, and whether federal prosecution is appropriate in accordance with the Department's policy governing successive federal prosecution following a state trial." 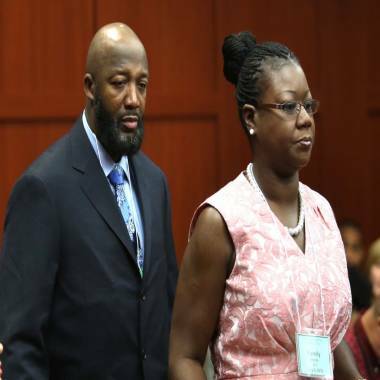 The parents of Trayvon Martin, Tracy Martin and Sybrina Fulton, have not said whether they will sue George Zimmerman. But NBC legal analyst Kendall Coffey said he would be surprised if the feds step in, especially since Florida prosecutors did not make race an issue in the criminal case. "To my recollection, there was no evidence during the trial that would add to a hate-crime theme," Coffey said. "The record that this trial creates, as well as the outcome, do not hand authorities additional tools to invoke federal jurisdictions." Rod Vereen, a lawyer who represents Martin friend and prosecution witness Rachel Jeantel, said that it would be unusual for the Justice Department to bring a civil-rights case against a private individual — as opposed to law-enforcement personnel — acquitted of murder. "I know that there is a petition going around," Vereen said outside the church where the Martin family attended services Sunday. "I doubt very seriously that anything is going to come of it now." More likely, experts said, is a wrongful-death suit by Martin's family against Zimmerman, either in Seminole County, where the teen was killed, or in Miami, where he lived. Martin family lawyer Benjamin Crump did not say Sunday whether they will sue Zimmerman, though they did sue and settle with the homeowners association of the condo complex where Zimmerman lived and was a neighborhood watch volunteer. "Right now they're just trying to make sense of this," he said. "They're trying to deal with the grief of losing their son and then not having his killer held accountable." Defense lawyer Mark O'Mara expressed confidence that his client would be able to fend off a civil action. "If someone believes that it's appropriate to sue George Zimmerman, then we will seek and we will get immunity in a civil hearing," O'Mara said in a post-verdict press conference. "We'll see just how many civil lawsuits will spawn from this fiasco." 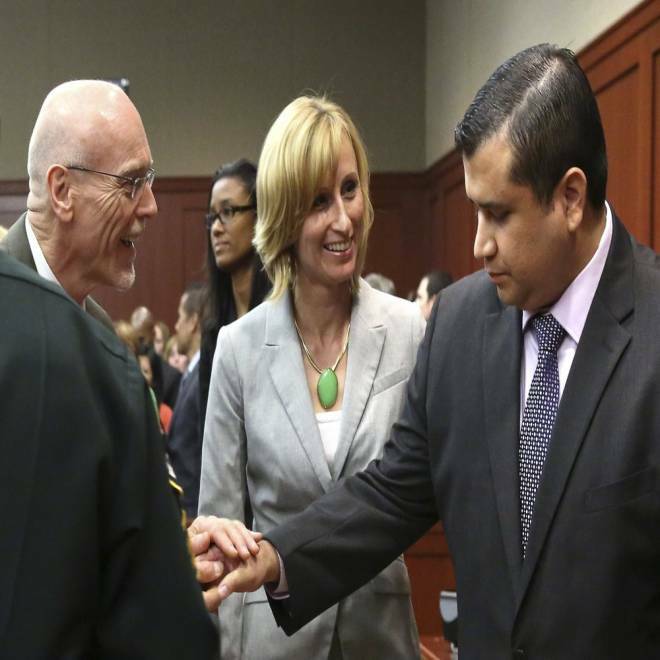 To seek immunity, Zimmerman would have to ask for a a hearing under Florida's "Stand Your Ground" law. He chose not to pursue one before the criminal trial, but O'Mara had suggested he might go that route in the event of an acquittal. TODAY's legal analyst Lisa Bloom talks to Lester Holt and Kate Snow about whether George Zimmerman could face a civil suit. Coffey said that if Zimmerman is granted a hearing, he would have to testify. If he didn't convince the judge to grant him immunity, a civil suit could proceed to trial, where he would likely have to testify again. The burden of proof is different in criminal and civil cases, and there are well-known examples of defendants being acquitted of criminal charges but held liable for someone's death and ordered to pay damages in a civil proceeding — including O.J. Simpson and actor Robert Blake. Also, prosecutors could not compel Zimmerman to take the stand in the second-degree murder case, relying instead on other witnesses to highlight issues in statements he made to police. In a civil case, it is "virtually inevitable" that Zimmerman would stake the stand, Coffey noted. "And the best way to prove a witness is inconsistent and untruthful is you put them on the stand," he said. A civil suit holds some risk for the Martin family, too, however. If Zimmerman were to win immunity in a "Stand Your Ground" hearing, they could be forced to pay his legal costs, Coffey said. O'Mara said he will continue to seek sanctions against prosecutors for what he contends were violations in discovery procedures that require both sides to share evidence in a timely fashion. "The state has been responsible for a lot of the costs that we've incurred to acquit George Zimmerman so we're going to have a hearing on that, as well,"O'Mara said. Neither his client nor Martin's parents have spoken publicly since the verdict. O'Mara said Zimmerman, who has been living in an undisclosed location, would be keeping a low profile for the immediate future, partly out of concern that someone angered by the acquittal might seek to harm him. "I don't know where you go after 16 months of this," he said. "I think you go somewhere, relax and get your bearings back," he said.